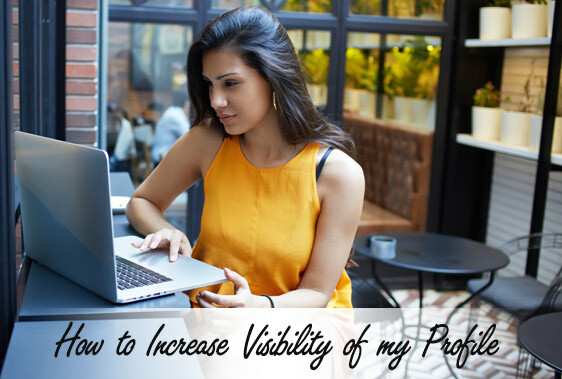 Visibility of your profile is crucial; in fact, it is the first thing you should work on when you join any social media platform. Get to connect with as many users as possible to benefit from the site. People sign up on these platforms with different motives; some want to connect with professionals in the field, others are searching for love, for others is just pure friendship and fun. While you should strive to establish the highest number of connections you can, consider people who you have similar interests and objectives. Most likely you have accounts on multiple social media profiles; take time to promote your presence by showing you are the same person. If someone is interested in you, they will dig deeper before walking to a matrimonial service. Be available online. Don’t take too long in responding to messages or posts. Consistency has a link to reliability, which will attract more connections. Whether you are restricting your presence to Desi matrimonial USA or Muslim matrimonial USA, consistency increases your visibility. No one likes a boring partner. While you should be yourself, create something interesting, new and post on your profile. There is always something interesting to share that people in a neighborhood or community can relate and find interesting. Make good use of matrimonial website USA. Update your profile on a regular basis.